TSE 714: Sales From The Street-"Fail Really Early"
Scared of failing too soon? The irony of this, however, is that failing sooner in sales or in your business is actually the quickest way for you to achieve that you want. 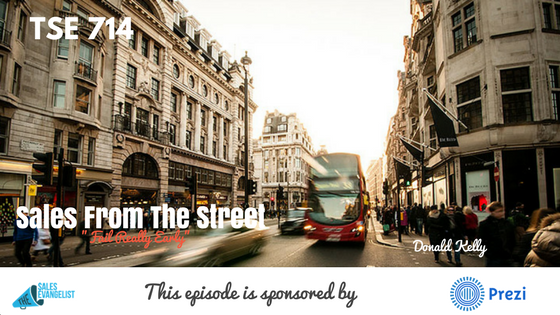 Our guest on this episode of Sales from the Street is Pete Mockaitis. He’s an entrepreneur and his is a fellow co-podcaster. 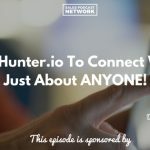 He hosts the show, How to Be Awesome at Your Job Podcast. And today, he talks about the principles behind building a business out of your passion and why you should strive to fail early and often. Just because it’s your passion doesn’t mean it’s going to get you paid. Some passions are not appropriate for trying to build a business or a product or a livelihood out of it. Ask yourself if people really want this thing. Acknowledge the reality that if you don’t have the product market fit, you’re not going to go very far. Apply that product differently in that it solves a more compelling problem. This is where the concept of Minimal Viable Product comes in. Make sure it’s not just something you want but what everybody wants. Start basic and test it out. Then see what the market wants. If you fail, learn from it. Find out what the customers want. So when you fail early, you can easily move forward. Their podcast hit over a million of cumulative downloads in just over a year. They hit some nice iTunes rankings. Pete has been featured on The New York Times. Shoot Pete at email at pete@awesomeatyourjob.com or on LinkedIn.